In great historical fashion, every year, brothers and sisters come together to celebrate Raksha Bandhan with friends, family, and of course – food. And in every celebration, Haldiram’s sweet and namkeens grace the tables and plates of all family members young and old. 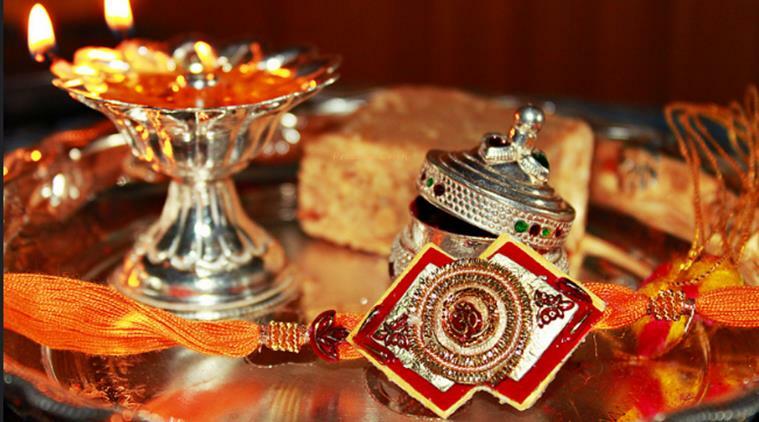 Raksha Bandhan is one of the most awaited festivals in the Hindu calendar, and falls every year in the month of Shravan. This festival has been a part of our culture for centuries, and has roots in the Vedas. This festival celebrates and strengthens the bonds between a brother and sister. Historically, this festival can be found in many narratives and avatars. Looking for a fun way to celebrate Rakhi Festival this year?Look no further – Haldiram’s has the perfect ideas for you that will help you cherish your sibling love, just like you used to as a kid! Shaadikebaad a behena rarely has the time to spend with her beloved bhaiyya. Hence it’s time for you to go out with your bhaiyya/behena on a special date. Celebrate the day of sibling love by spending quality time with that person who makes your life happier. You could go out for a nice dinner, a movie or even something new and exciting like a bowling alley, painting class or food festival. Make new memories for your Facebook album! A themed photo shoot is the perfect idea to let every sibling shine!You could dress up as Harry Potter Characters, or pick a colour for the theme – like Radiant Red, Think Pink, Brothers in Blue. What’s more you can include all your cousins too and make it a huge group photo shoot that you will love to look at for years to come! Remember the childhood days when your parents would take you on a road trip to the hill stations, and you and your siblings would play hide and seek, or antakshari while munching on Tasty Nuts or Aloo Bhujjiya! Recreate those memories, go on a family trip again and pack your favourite snacks with you – just like your mom used to! Invite your entire family over for this auspicious celebration – because Raksha Bandhan is the perfect time to throw the party of the year! Invite all your uncles, aunts, cousins and friends – so that everyone can celebrate the joy of brotherly/sisterly love. Ask your most music-crazy sibling or cousin to play as the DJ and sing, dance and munch on snacks and have fun till the break of dawn! Happy Rakhi Haldirams. Lovely article..